Replay Destinations’ latest resort is a ski property in Mammoth Lakes, California called YOTELPAD Mammoth. It will be the first new development built in the village area at Mammoth Mountain in more than 10 years. 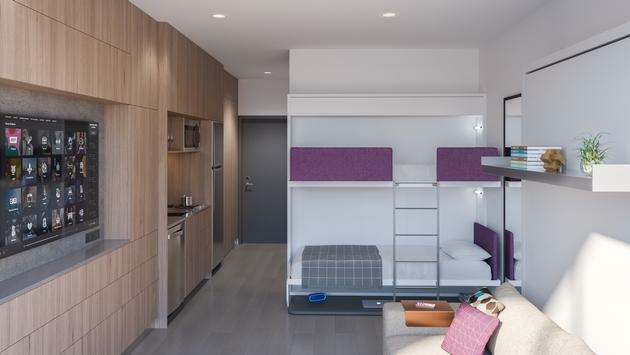 The International micro hotel brand, YOTEL, is bringing the 177-unit condo building to the market, and it will function much like a hotel with amenities such as fully-stocked gyms, living room-like lounges and year-round pool and dining spaces. This is the brand’s third U.S. location following the successful launches of YOTELPADs in Park City and Miami. Known for its ‘affordable luxury’ approach along with smart, efficient design, YOTELPAD Mammoth will feature 156 PADs with flexible and adaptable spaces, ranging from 410 to 629 square feet. In addition, the project will also tout the brand first DOMO concept offering 21 townhomes at 1,503 square feet each. As with all YOTEL locations globally, YOTELPAD Mammoth will offer robust community amenities for all ages and attentive service utilizing the latest smart living technologies. Guests to YOTELPAD Mammoth can stay one night or a full year in the units. Both the PADs and DOMOs are also for sale. 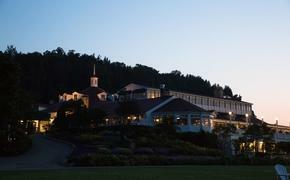 Nightly stays are estimated to start at about $240. Located in a year-round destination, the property will feature a seamless indoor-outdoor experience for owners and guest. The Terrace will serve as a social hub with a bar, numerous fire pits, a year-round pool and hot tub, a dog park, a dedicated area for yoga, in addition to table tennis and bocce ball courts. Little ones will be plenty occupied with endless activities in dedicated zones for kids and teens. Other amenities in and around MISSION CONTROL (the central lobby area) will include a 24/7 gym, steam room and GRAB+GO light bites. YOTELPAD’s signature design concept centers around transformative spaces, including multi-purpose furniture with convertible configurations to maximize interior space along with built-in technology and dynamic lighting. These innovative layouts will be complemented by a modern minimalistic design and the newest technologies, including the YOTEL brand’s signature adjustable SmartBeds and adjustable mood lighting, a smart TV, multi-power points and easy connectivity for PAD guests. Additional tech-forward features will be available via the YOTEL app including check-in, keyless entry, on-demand Fix-it, and Cabin Crews, to-go mobile dining orders and more. Beyond design efficiency and cost-effectiveness, YOTELPAD is an industry leader in the use of smart technology. A cornerstone for all properties is functional technology, such as robot butlers making in-PAD deliveries to a robotic luggage concierge. YOTELPAD Mammoth will be no different, employing the latest technologies throughout the public spaces, PADs, and DOMOs. Catering to business travelers, PODS and HUBS throughout the property will offer break-away spaces for conference calls and meetings. Additional services available to owners will include an interactive app-based ski and car valet, as well as Amazon lockers. 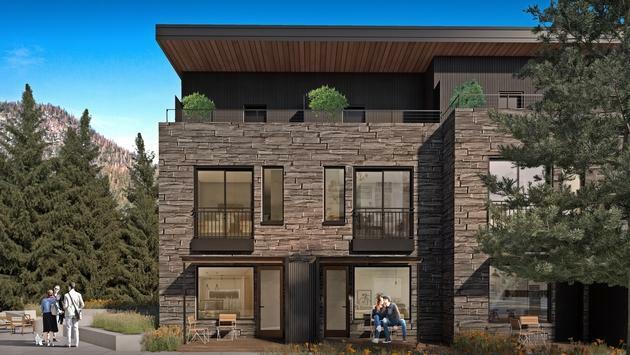 “Satisfying the continued trend of compact homes and efficient living, YOTELPAD Mammoth will offer owners a chance to purchase real estate in the most desirable location on the mountain. This property is unlike anything else on the market, ideal for those seeking a sustainable and affordable home without sacrificing the luxuries or amenities of a bustling vacation home community,” said Gary Raymond, managing director, Replay Resorts. Ten minutes from town, Mammoth Yosemite Airport offers direct flights from Los Angeles year-round and several other non-stop seasonal routes including Burbank, Orange County, San Francisco, and Denver.